Micromeritics’ Instrument Grant Committee has recently selected its latest grant recipient. A 3Flex Surface Characterization Analyzer has been awarded to the Institute for Chemical and Bioengineering at ETH Zurich, Switzerland. 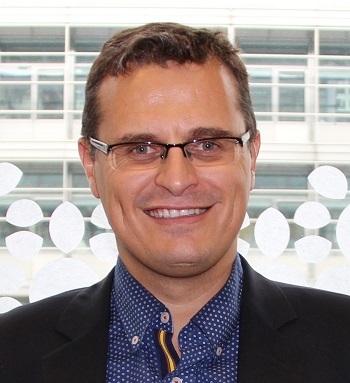 According to Professor Dr. Javier Pérez-Ramírez, Principal Investigator, “Our research focuses on the fundamental design and technical development of new catalytic materials and reactor engineering concepts, favoring the more efficient and sustainable manufacture of chemicals and fuels. The 3Flex, a top-notch tool for the precise assessment of porous properties of solids, will give us the ability to measure three samples simultaneously and the upgrade from meso- to micropore will be essential in providing the required resolution for our research work with zeolites, metal-organic frameworks, and carbons. The vapor option is highly advantageous to evaluate the sorption properties of microporous materials. We are very thankful to Micromeritics for the donation of this instrument, which will contribute to the continued development of our research program.” Prof. Pérez-Ramírez has been Full Professor of Catalysis Engineering at ETH Zurich since January 2010 and in 2012 became the head of the Institute for Chemical and Bioengineering at the Department of Chemistry and Applied Biosciences. He has delivered more than 150 lectures in conferences, universities, research institutes, and companies around the world. He has received numerous prestigious awards, published over 250 articles, and is co-inventor of 13 patents. According to Preston Hendrix, Micromeritics’ president, “This program is designed to promote and advance the acquisition and use of particle characterization instrumentation in non-profit universities and institutions where other means of funding are not generally available. We are very proud and excited to present this award in an ongoing grant program to support important research.” Mr. Hendrix has appointed a special Grant Selection Committee to ensure the success and effectiveness of this program. Micromeritics’ Instrument Grant Program is intended to provide particle characterization instruments to non-profit universities and research organizations for the purpose of fostering and supporting meritorious research projects. A maximum of one instrument/integrated system will be awarded per calendar quarter. Applications may be submitted at any time in accordance with the application instructions and will remain active for a period of one year from the date of submission. Visit Grant Program (see link below) for a detailed grant description, application requirements, and application.